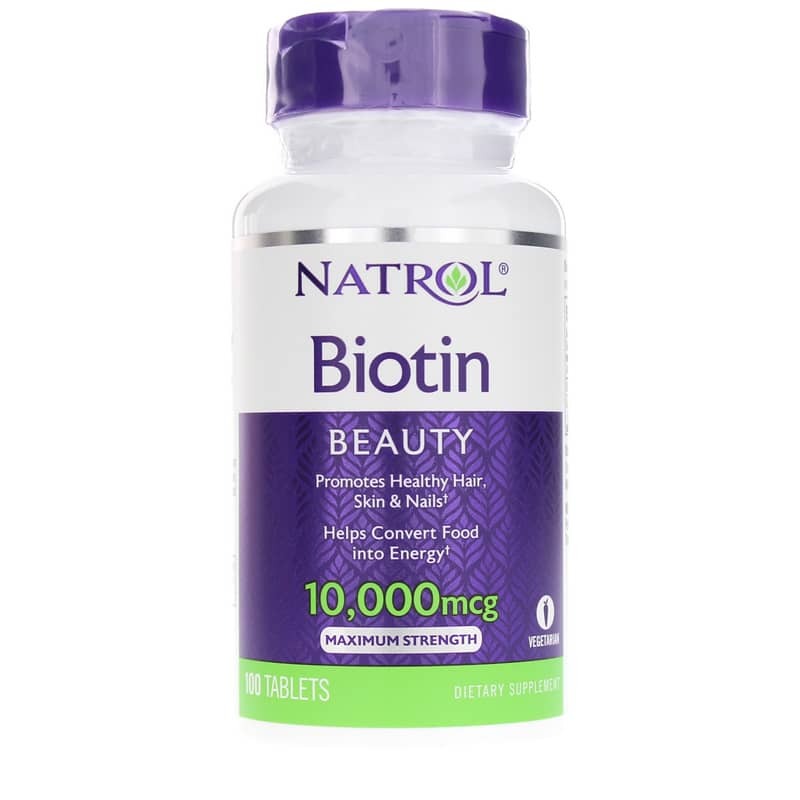 Biotin by Natrol is a vegetarian supplement that seeks to support cellular energy production, strong nails and healthy-looking hair. Natrol captures the benefits of vitamin B7 in its Biotin supplement. Just as with the other B complex vitamins, biotin plays a role in converting food to energy. Vitamin B7 is especially known for its support of skin, hair, nail, eye and nervous system health. 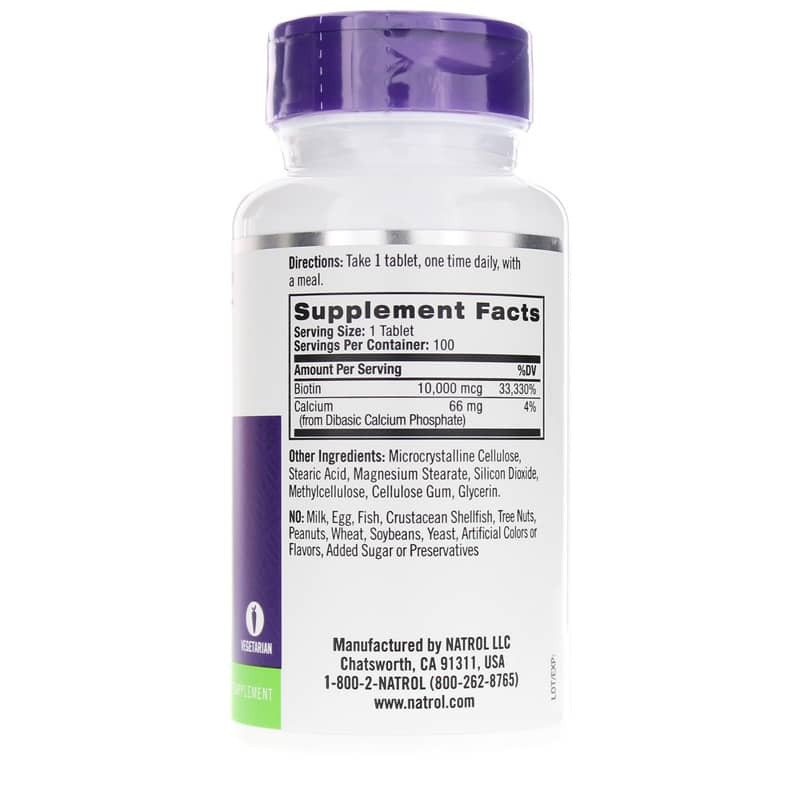 Biotin is considered a crucial nutrient during pregnancy due to its promotion of embryonic growth. This supplement is free of wheat, soybeans, yeast, corn, milk, egg, peanuts, tree nuts, fish, crustacean shellfish, artificial colors, artificial flavors, added sugar, starch and preservatives. It is recommended that you consult with your healthcare provider before taking this product if you take prescription drugs, have a medical condition, or are pregnant or lactating. 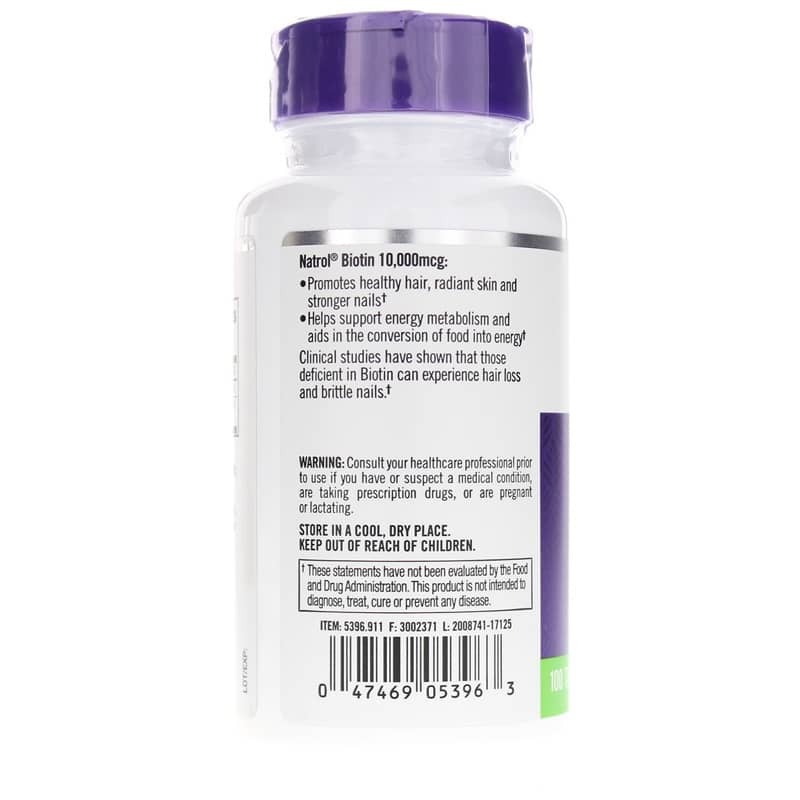 If you are looking for a dietary supplement that seeks to support metabolism, nervous system health, or strong hair and nails, consider Natrol's Biotin. Other Ingredients: Microcrystalline Cellulose, Stearic Acid, Magnesium Stearate, Silicon Dioxide, Methylcellulose, Cellulose Gum, Glycerin. Contains NO: Milk, egg, fish, crustacean shellfish, tree nuts, wheat, peanuts, soybeans, yeast, corn, artificial colors or flavors, added sugar, starch, or preservatives. 100% Vegetarian. Adults: Take 1 tablet, one time daily, with a meal. natural health concepts has quality products at a reasonable price and quick delivery!